Travis Taylor is the owner of a Goosehead Insurance agency in Rockwall, Texas. Using the latest technology, Travis can compare over 25 top-rated insurance providers to ensure that families in Texas and across the country receive the best coverage at the best value in a matter of minutes. Travis is from rural Collin County, Texas where he was raised on his family’s grain farm. He then went on to obtain his Bachelors Degree in Dairy Science from Texas A&M University in College Station and his Masters Degree in Education Administration from Texas A&M University at Commerce. 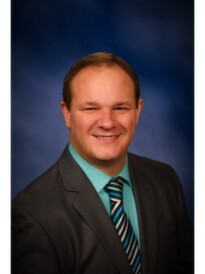 Prior to joining the Goosehead family, Travis worked in education where he was a teacher, assistant principal, and principal for fourteen years. Travis understands the importance of educating his clients on various products and vows to provide the utmost quality in customer service and the highest level of customer satisfaction. Call or text Travis today and see how he can help you with your insurance needs!